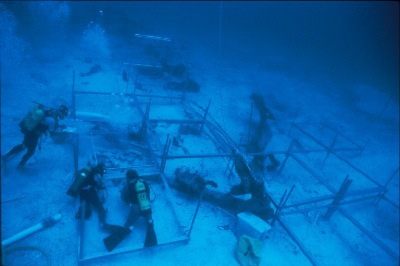 If you're into history, exploration, and discovery -- the NAUI UNDERWATER ARCHAEOLOGIST Specialty Course is for YOU! New sites are being discovered every day! 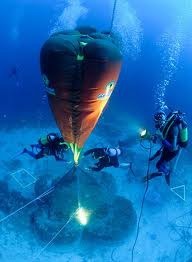 These sites give us a look at the past and enable us to better understand civilizations and cultures long gone. 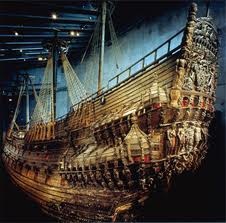 The Vasa, a galleon that sank near Beckholmen, Sweden on August 10, 1628, was salvaged by underwater archaeologists on April 24, 1961. 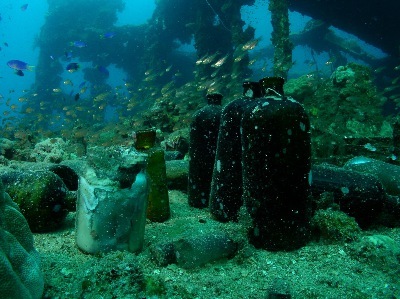 She was discovered at a depth of 100 feet and located only 390 feet from shore! 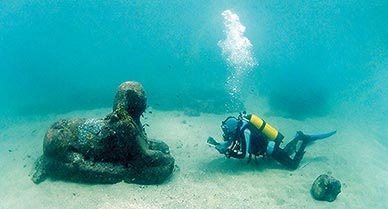 She was amazingly well preserved, considering how long she had been underwater. 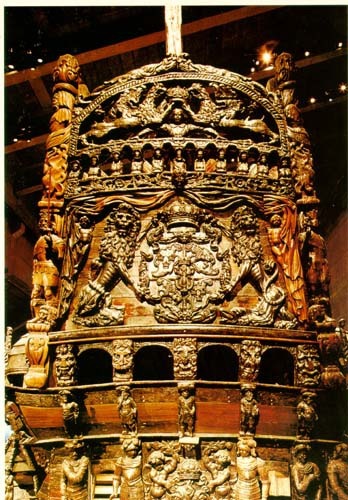 The ornate detail on her stern is incredible! 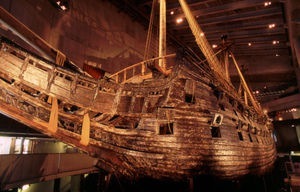 She now sits fully protected in a special building, and is one of the largest tourist attractions in Sweden. Sphinx statue off Egypt, 3000 years old. 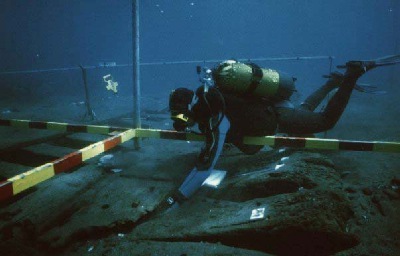 Recovering objects from an underwater site. In this course, you will learn how to establish and work grids on a site. You'll learn how to research and preserve what you find. The two sites used for this course are Nehalem Bay, Oregon, and Port Townsend, Washington. 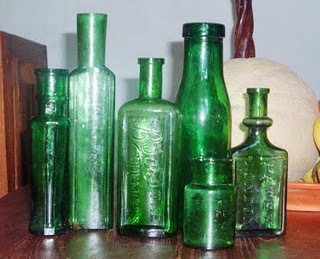 Old bottles from the late 1800s and early 1900s are a common find. 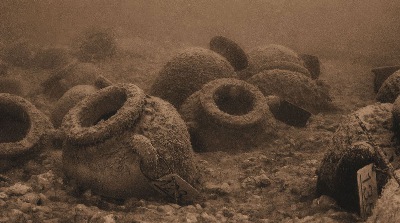 Diving For Northwest Relics is the text used for this course. 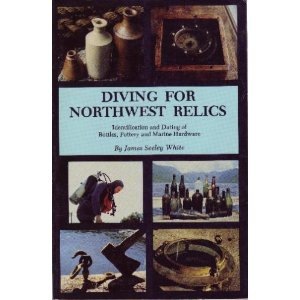 I made a few dives with James Seeley White back in the early 80s on some of the Nehalem Bay sites where he uncovered many of the artifacts discussed in his book.